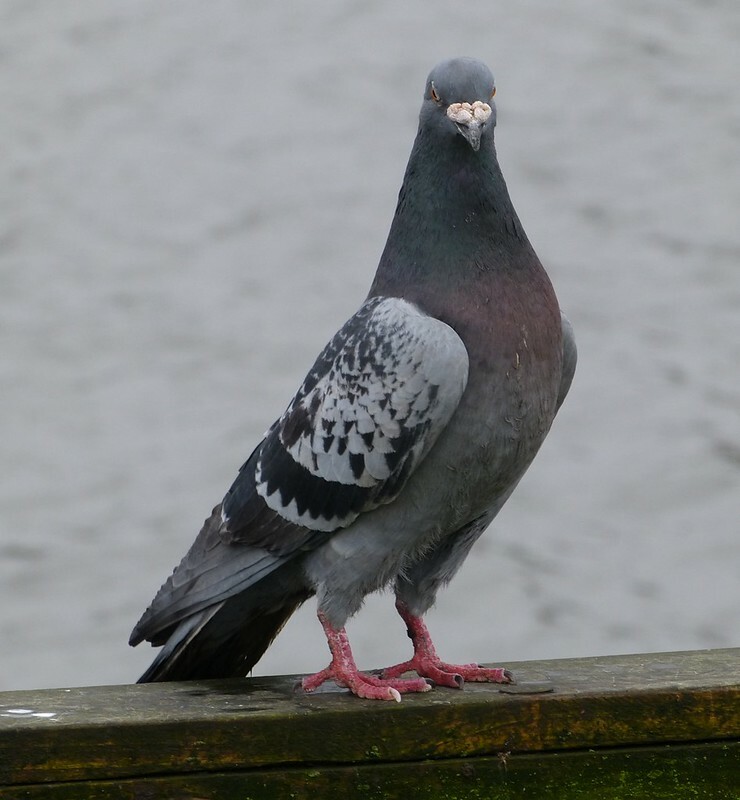 I see Feral Pigeons on an almost daily basis and usually spare them not much more than a casual glance. I'm sure most people are the same but that's all changed for me since Winterwatch featured Adam Rogers and his 'Feral Pigeon Project'. People with obscure wildlife projects always grab my attention, this one more so than most as it's focussing on a question that I've often wondered myself. Why is there such a large colour variation in our Feral Pigeon population? 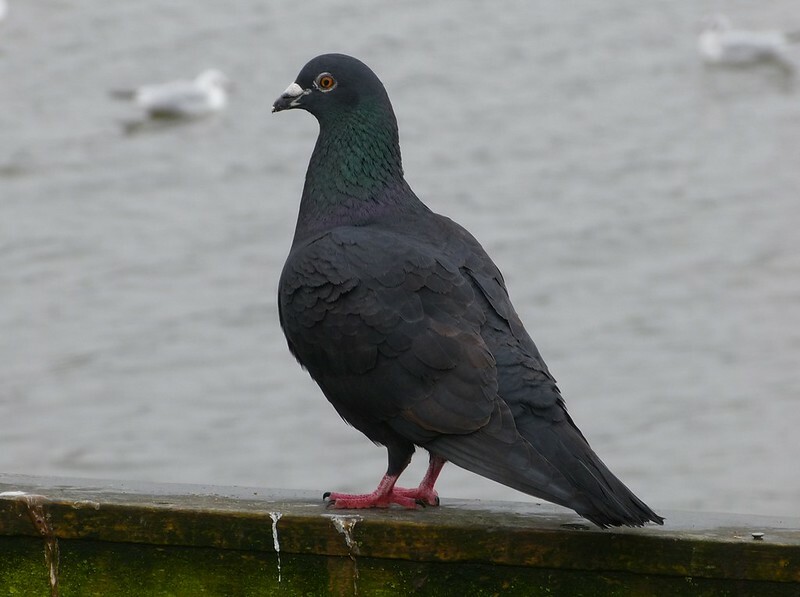 Feral Pigeons are all descended from the Rock Dove which was long ago domesticated by humans and selectively bred to create many different varieties. Inevitably these birds slowly escaped and, being the hardy creatures that they are, started to thrive in our urban environments. At this point typical science dictates that over the years the now feral population should have slowly reverted back to its original plumage. That has clearly not happened as any city centre can attest to. Where it gets really interesting is that at present no one is really sure why this is happening. One theory is that an individual actively seeks out another of differing plumage with which to breed. In doing so they combine each others genetic material to produce offspring which are diverse from their parents and thus more likely to avoid the disease susceptibility and deformities that can result from inbreeding. The by-product is the continued existence of colour variation within the population. 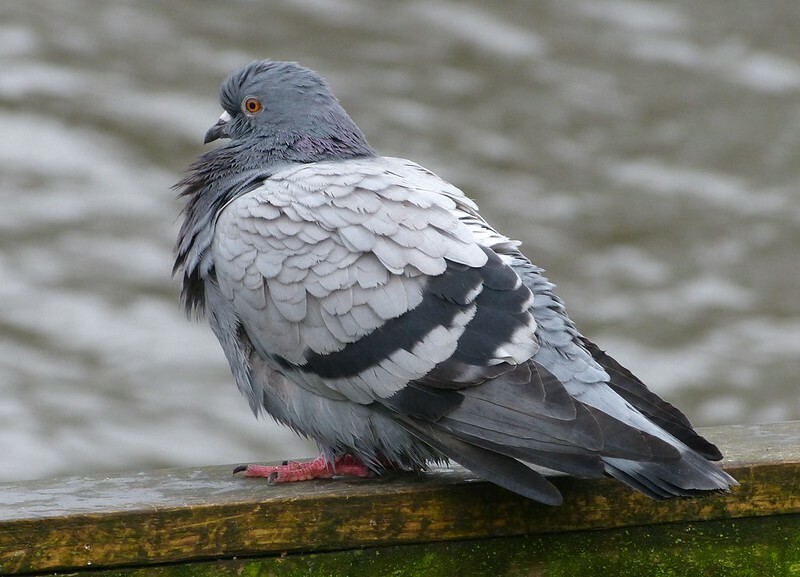 Adam's project aims to gather as much information about the current state of Feral Pigeons as possible in an effort to help understand this and other aspects of how humans and the environment are affecting them. To aid his research he has created a survey through which members of the public can report which of seven common colour variations they see. I duly took up his challenge. First up at Sandy Water Park was the Blue Bar individual above. This is the closest variety to the original Rock Doves and we counted four. Next up was the more numerous Chequered variety of which we saw eight. Interestingly this matches with other reports from around the country where Chequered birds are by far the most common. Last but not least were the three Black birds which I have to say were the most amorous of the three. They were constantly chasing the others around and as a result were very tricky to get on camera through the gloom. One thing was for sure though in that they always tried to draw the attention of individuals with a different colouration, as did the Blue Bars and Chequers. Only very occasionally did one turn to another of its kind, which may very well have been as a result of hormones running wild. It's not conclusive evidence with such a small sample group but I find it fascinating and shall certainly be adding more records to Adams project over the coming months. I didn't know about Adam Roger's project - thanks for drawing it to my attention. I've long been fascinated by feral pigeons. Whole colonies living out their year round cycle of birth, living and dying under your nearest railway bridge. Do birds move between colonies? As the article says, what explains the continuing colour patterns? Although most studies relating to FP are about pest control, I have met s man who published a paper on aspects of FP life in Bristol. Many birders refuse to acknowledge or record the species, even when on a survey - contrary to BTO rules, as the interaction of different species, positive and negative, is an important area of study. I started my first BTO Breeding Bird Study in 2002 in ST1576, part of Canton, an urban Cardiff area holding many FP. I have since recorded the numbers seen, on a survey with a consistent method, twice a year. Maximum so far was 156 (April 2011). I have also published (in the Glamorgan Bird Cub newsletter) some modest statistical interpretation of the trends for FP compared to Wood Pigeon. Both are increasing in my 10-year data for ST1576. I think everyone who watched the programme must be viewing these birds in a different light now. Great photos, Adam. I have often been intrigued by the black ones. 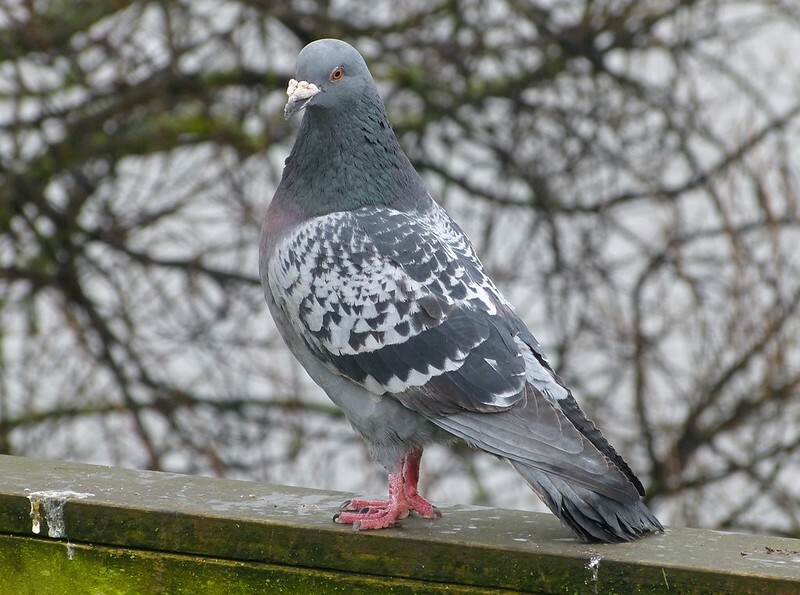 The Feral Pigeon Project has now launched an Android app to help Adam collect data. It's integrated with BirdTrack so data collected by the app will be passed on to them. Just need to head off to the park with a packed lunch and get counting!